This kit is designed for rebuilding of the cuplex XT waterblock for installation on different Mainboards and processors. 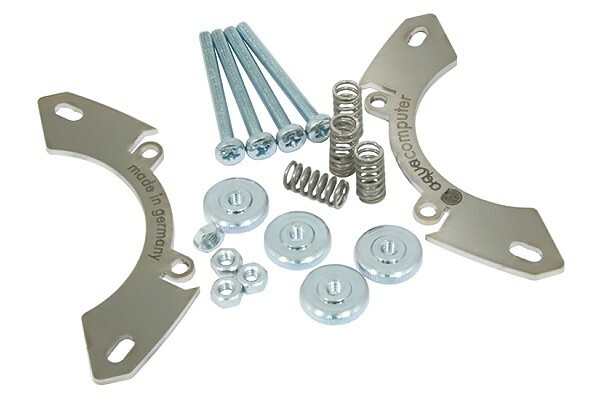 With this kit the Stainless steel mounting plates are replaced. Rebuilding kit for installation of the cuplex XT on socket 1156/1155/1150 (Core i5 / Core i7). For mounting if the waterblock usually the black cooler mount is removed from the Mainboard and the waterblock is fixated with screw through the now open holes.